ISSF 2019-07: Status of the World Fisheries for Tuna. 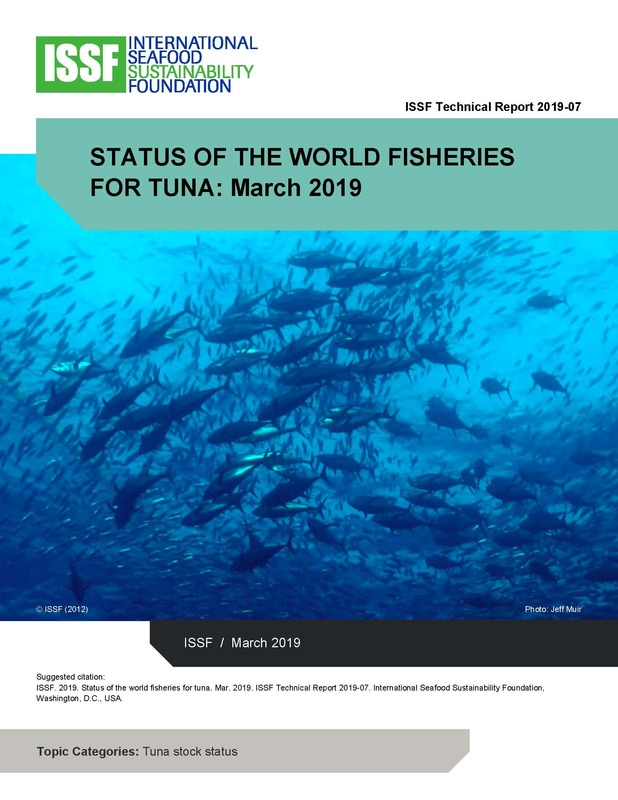 March 2019 summarizes and rates the status and management of 23 major commercial tuna stocks, based on the most recent scientific assessments as well as management measures adopted by the RFMOs. 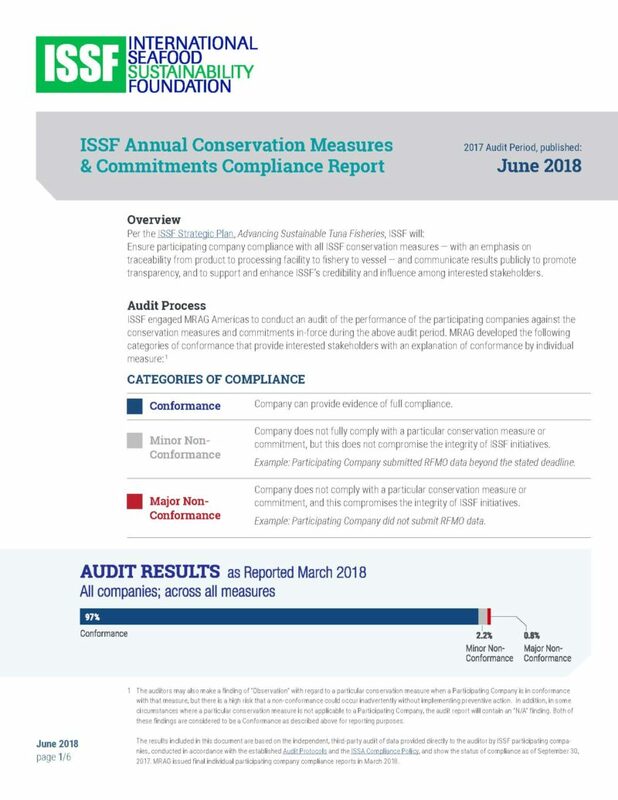 Known as ISSF’s “Status of the Stocks” report, it uses a consistent methodology focused on three factors: Abundance, Exploitation/Management, and Environmental Impact (bycatch). It does not replace the more detailed information available directly from the RFMOs. But it does serve as a single source in which uniform information is presented. It is reviewed by the ISSF Scientific Advisory Committee, which provides advice on its content. Status of the World Fisheries for Tuna features charts, graphs, and individual stock assessments, which are organized by ocean or by ocean region. It also includes a list of Marine Stewardship Council-certified tuna fisheries (p. 97).